Every minute as the clock ticks things are changing all over the world. So how does this change effective me? Good question, here is my opinion. I have read that each one of us are connected closers than we expected. Social media and the internet has closed this gap greatly. The average number of acquaintances separating any two people no matter who they are . . . is not six but 3.9. So when something happens we are effective in many ways. If, we only seek out the negative and the wrong in the world. Our thoughts and attitude towards others will be tainted creating shields around us and ill feeling about everyone and everything. Our subconscious will retain this information, until we change the station and start focusing on the positive things which we can control and forecast better results in the days to follow. Think for a moment, 3.9 is the number which separates each one of us. 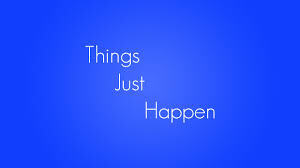 Things just happen, good, bad, and something we just can’t understand. So with every positive post, tweet, and my face posting, I encourage those to continue and express happiness and positive vibes to those so close to us for the comfort and love they need. Good overcomes all that is evil or things which leave a bad taste in our mouths. When anyone shares something positive or constructive it helps and bring everyone up. I believe that and I hope everyone else feels the same. Good in and good out, your thoughts and actions, and lets not forget about those words, will affect everyone we touch or post. It’s like right now, you post and it’s “breaking news” for all to read or watch. So remember this, your audience of separation is now 3.9 people which you will now effect. Those are my thoughts of the day, live, love and help others shine so that our world knows no darkness.